A mysterious and powerful fantasy adventure from a Schneider Award winnerIn the near future, most of the population of the United States has been destroyed by the plague. The few remaining survivors live in colonies on the barrier islands off the East Coast. In one colony near Cape Hatteras, almost all the members have elemental powers and can control wind, water, earth, and fire. All but sixteen-year-old Thomas. 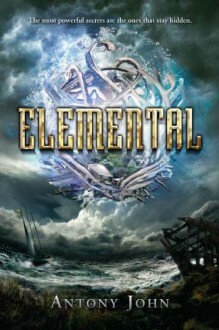 When the Guardians, the powerful adult leaders, are kidnapped by pirates seeking to take over their colony, it is up to Thomas and a small group of teens to save them and preserve the mysteries of the island.Fast action, strategy, and mystery churn together into a bold and fresh fantasy from an award-winning author. I actually got this book out of my local library and liked it so much that I went and got my own copy. I originally requested this book out of my local library but I liked the book so much that I plan to buy my own copy. I look forward to reading the next installment.